Omega Termite and Pest Control is a Christian-based company serving clients who want good quality but do not want to pay the higher fees of a larger company. 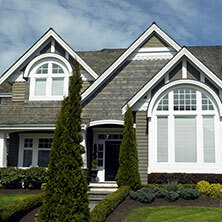 We offer expert service programs to meet your specified needs. some options are treatment every 3 months, 2 months, monthly, one time and outside only. 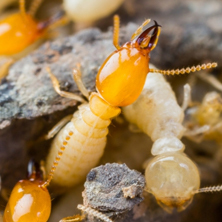 We have several control and prevention options when it comes to termites. Each option has unique features and benefits. If any covered pest problems arise between scheduled visits, Omega will return and treat the problem area at no additional cost. Welcome to Omega Termite and Pest Control. We provide service to Greater Nashville, Hendersonville, Goodlettsville, Gallatin, Portland, Springfield, White House, and More! Omega Termite and Pest Control is a locally owned and operated company. We have over 26 years of experience in providing pest control and termite treatments in a safe, efficient, and cost effective manner. 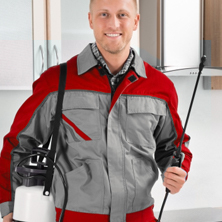 If you’re looking for an exterminator and you want to work with the best of the best, look no further than our team of experts. At the end of the day, we know what it takes to get the job done the right way the first time around.